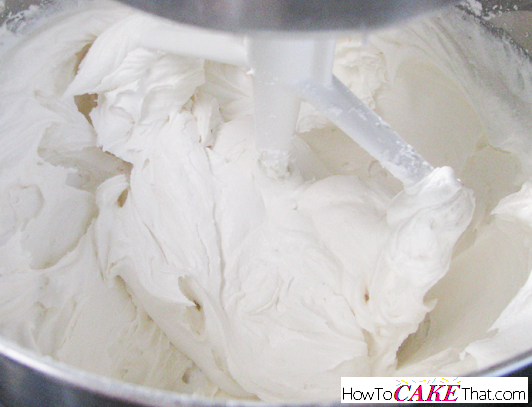 This is one of the most delicious American-style buttercreams I have ever tasted! Very Vanilla Frosting is a powdered sugar based frosting, so it is pretty sweet, but using salted butter instead of unsalted helps offset the sweetness a bit. Plus, I like to use vanilla coffee creamer in place of milk and it makes it oh so good!! To begin this recipe, add 1/2 stick (or 2 ounces) of salted butter, and 1/2 stick (or 2 ounces) of unsalted butter to a mixing bowl. Next, add 1/2 cup of High Ratio Shortening. 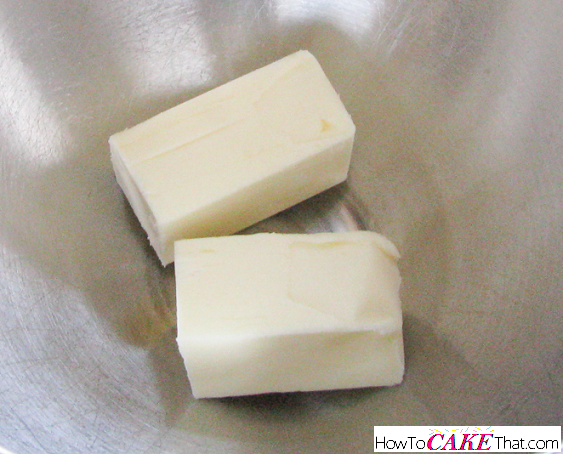 If you do not have High Ratio Shortening, just use 4 ounces of unsalted butter instead. 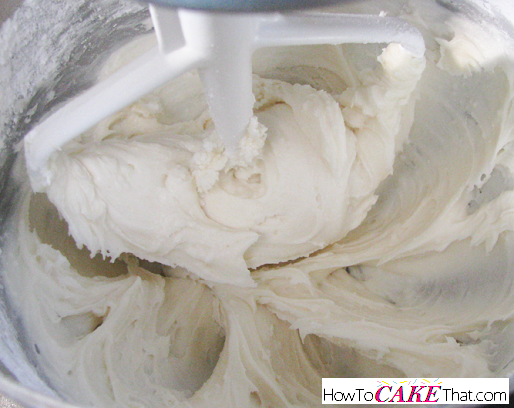 High Ratio Shortening gives the buttercream stability and allows it to hold up a little better in warmer temperature. 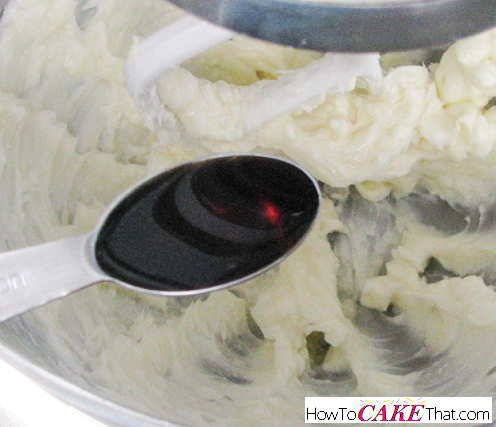 Next, add 1 teaspoon of pure vanilla extract. 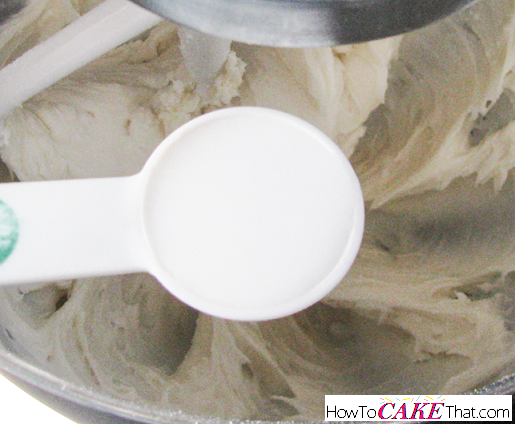 Blend ingredients together on low speed (use paddle attachment to reduce air bubbles if using a stand mixer). 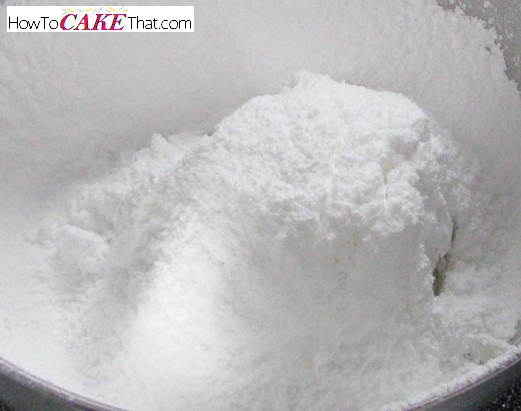 Next, sift 11 ounces of powdered sugar into the mixing bowl. Mix ingredients together on low speed until just blended. Add two tablespoons of Vanilla flavored coffee creamer. 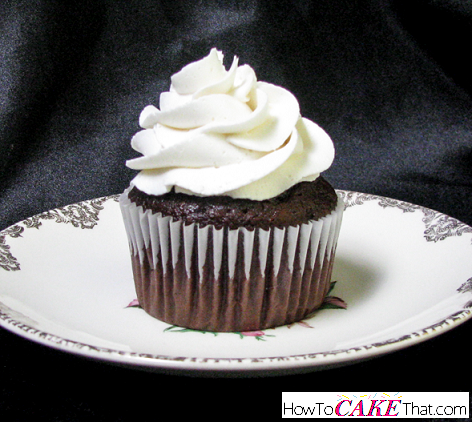 I like to use International Delight's French Vanilla coffee creamer - I think it gives this recipe the best flavor! 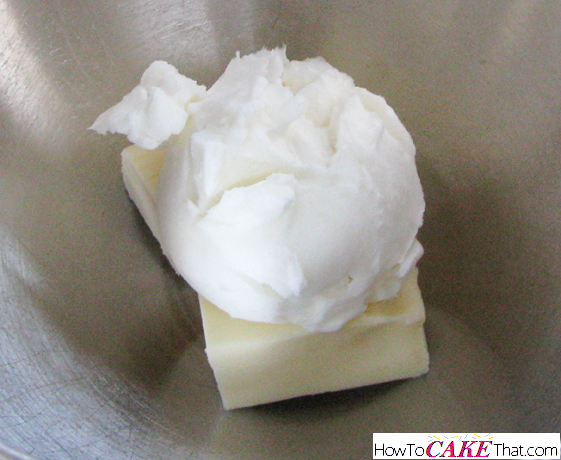 And finally, whip frosting ingredients on highest speed for 5 to 7 minutes until light and fluffy. Use paddle attachment to reduce air bubbles, if available. 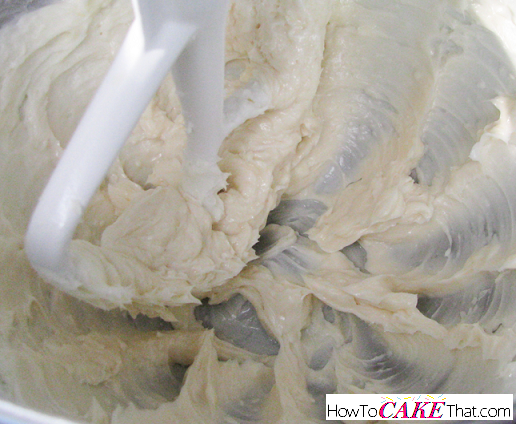 And that's how you make super yummy Very Vanilla Frosting! I hope you have enjoyed this tutorial! God bless!